SIGNIFICANT REDUCTION ! MOTIVATED SELLER ** NEED 1 LEVEL LIVING ?? LITTLE to NO MAINTENANCE ~ BEAUTIFULLY UPDATED, NEW ROOF….. and MOVE IN READY? …. WELL YOU’VE FOUND IT !! Beautifully Maintained ~ 55 + Lake Community in Chesterfield County! Enter into BRAXTON through a Gated Entrance taking you into a low maintenance, well maintained Neighborhood. Enjoy the the Jogging Path and Community Lake for extra relaxation and exercise. This particular home is MOVE IN Condition… offering just under 1,900 square feet, 2 Large Bedrooms, 2 Full Baths, an Open Floor Plan with a Large Great Room w/Gas Fireplace, Recessed Lighting and Plush New Carpet, Dining Area w/Chandelier, Separate Florida Room and a Wonderful Kitchen w/New Granite Countertops, Pantry, and Ample Cabinet Space. The home offers Warm Gas Heat, Central Air, ANDERSON windows, and a Single Attached Garage perfect for additional storage . This is one level living at it’s BEST !! The Fantastic Community Association takes care of the lawn maintenance, snow removal, gutter cleaning, common area maintenance, and Security. This Property with the fresh updates throughout truly is ready to be called your HOME. Please, send me more information on this property: MLS# 1838755 – $284,500 – 5809 Lakemere Drive, North Chesterfield, VA 23234. 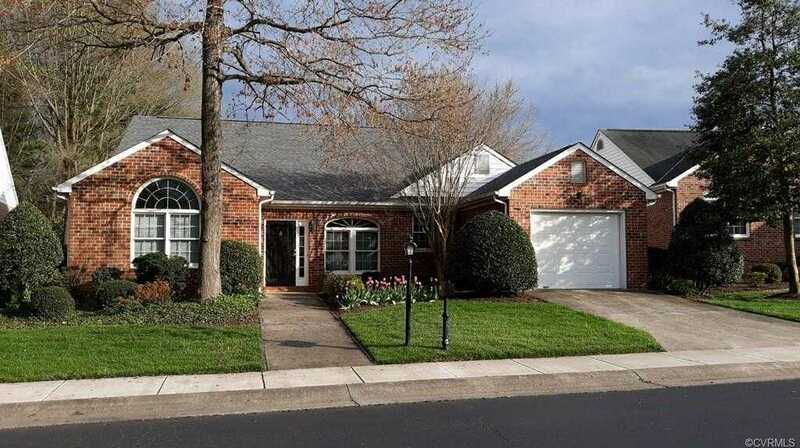 I would like to schedule a showing appointment for this property: MLS# 1838755 – $284,500 – 5809 Lakemere Drive, North Chesterfield, VA 23234.